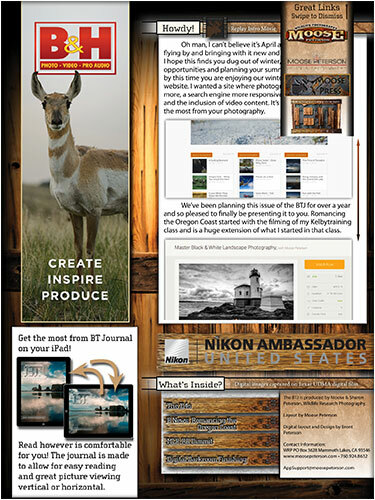 On of the longest ongoing projects I had, The BT Journal was already fifteen years old when I tackled the momumental task of redesigning it for the iPad with the already high standards Moose had for it. Now having rocked multiple years on the iPad, the BTJ seems like old hat to produce! Many thanks to Moose for the amazing writing and gorgeous images that make it possible. Of course you can see more of Moose Peterson here. 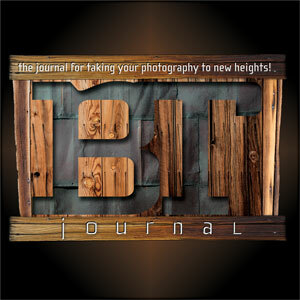 With the hard copy having ended with 16.4, I wanted to change up the Journal’s graphics to fit being on the iPad. That started with just the cover. Now this first logo is very cool but because it wasn’t transparent it just did not work. So I came up with a transparent version. That doesn’t mean the first version is useless though! It makes for a great logo on light backgrounds. Like all other Table of Contents I’ve made, it’s not so much about navigation as showing what’s in store for the reader. Navigation is built into every page by bringing up the menu. So with the “Howdy!” page I really wanted to bring all of the new theme’s elements together. The background was originally a flat image of a wood door. 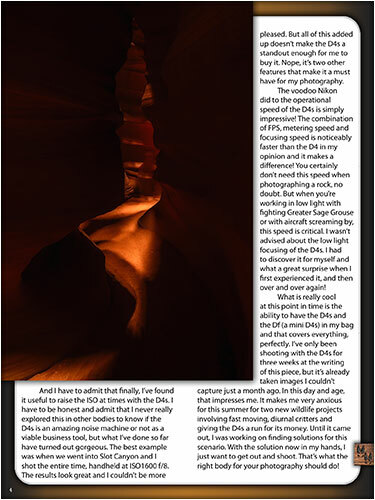 I actually used 3D in Photoshop to create the light effect across the image to really add drama with light and dark. A lot of the other elements on this page were already well made, and just like the background, only needed some extra drama of light and dark. With the pages, there is a very fine line that had to be walked, between being graphically interesting and cohesive while remaining very simple and easy to read. Because that’s what this is all about, showing off the images and educating our readers. In other projects, like Taking Flight, I did that by putting something behind text. With this new look in BTJ, it took me quite a while to find the right balance between something like the Howdy, which is a bit flashy, and something like the cover, which is just enough to let you know what is going on. So like the cover, there is this rounded page background, similar to the cover icon, and the very subtle light to dark behind it. While the hard copy was bring printed, it was important to me to keep the designs as similar as possible. This mainly meant page restrictions. The best part about digital is there is no page restriction! So finally in 17.1 I really spread out the pages, making sure every layout had space. Another great thing digital allows us to do is add in content we couldn’t in print. Sure you can put in a map, but only in digital can we add in maps like this. 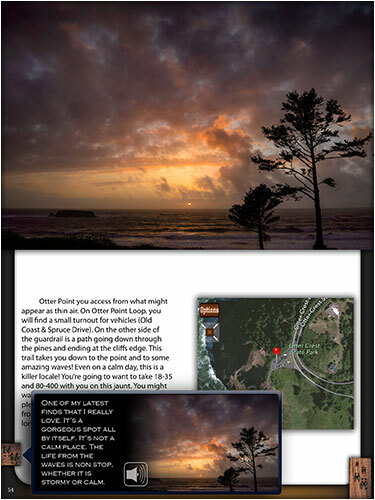 With custom placed markers and the ability to locate your current location, these maps really add to the experience. Captions are one of my favorite graphic elements because the only part I have to put there is the text. After that, it’s up to me how best to present it. I’ve done a few different version of it and these are the best so far. Again sticking with the theme of light and dark, the simple black gradient on the right gives a great backdrop for text with the image presented simply next to it. Great new digital addition to the journal: audio captions! They are longer and more detailed than the text is too.